Individuals with high lifestyle stress taking Wellmune over four weeks reported a significant increase in their general health, compared with the placebo group. Fully 150 subjects with high lifestyle stress were randomized, double blinded and placebo controlled. 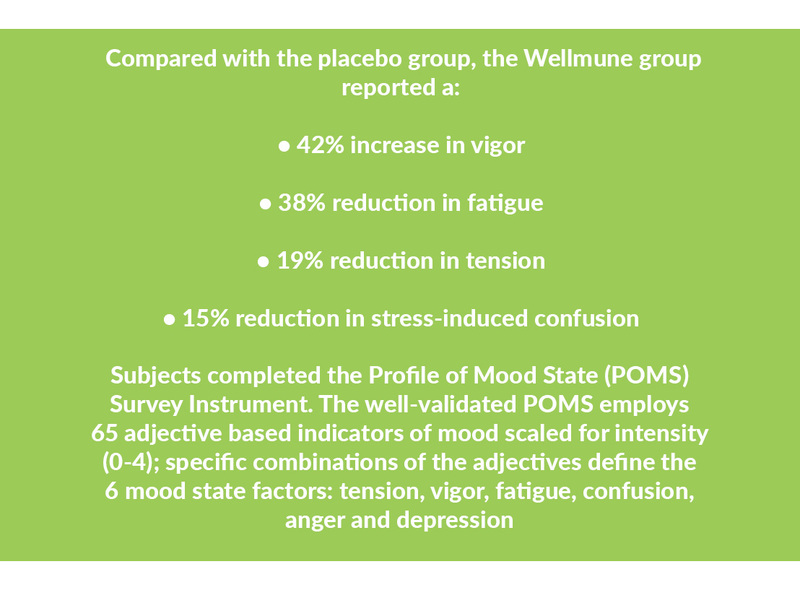 Subjects were split into two groups: placebo and 250 mg/day of Wellmune. Subjects maintained a daily health log with entries tracking the occurence and duration of URTI symptoms (cough, sore throat, sneezing, etc.). They also responded to questions regarding physical health during course of study. Table 1. 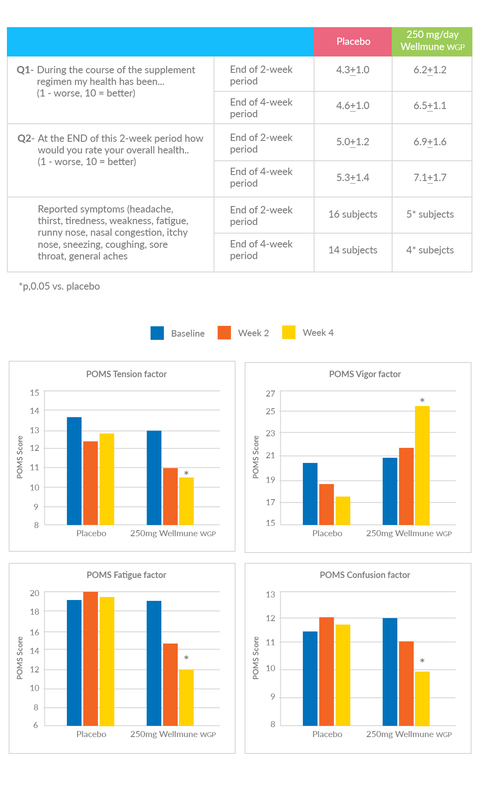 Effect of Wellmune treatment or placebo on physical health of subjects reporting moderate to high lifestyle stress over a four-week monitoring period. Figure1. Analyzed data for specific POMS factors calculated from POMS Score Sheet. Data analysis was by pairedt-test. “Beta 1,3/1,6 Glucan Decreases Upper Respiratory Tract Infection Symptoms and Improves Psychological Well-being in Moderate to Highly-Stressed Subjects.” Agro Food Industry Hi-Tech (2010). 21:21-24.